One of the first events of the year which signals spring is on its way, is Mother’s Day, a day to cherish and enjoy being spoilt by our little bundles of joy. 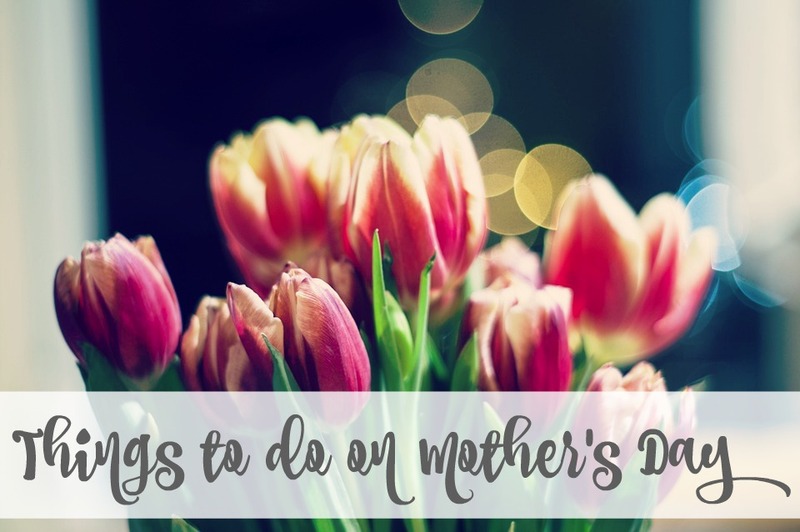 The shops are already full of spring blooms, with rosy red tulips and bright yellow daffodils decorating store fronts, drawing us in with pretty bunches ready to be presented to Mum come Mother’s Day morning. Preferably served with a warm cuppa and breakfast in bed, after a lie in of course! Mother’s Day isn’t about large, grand gifts but about the small gestures which allow us to revel in the moment about just how loved we are, spending the day with loved ones, and whether you want to enjoy your special Sunday relaxing or give a hint to someone about what you want to do these ideas should help you plan the perfect day. What better way to celebrate Mother’s Day than with an afternoon filled with delicious sandwiches, an array of teas and some yummy cakes to sample. That’s not forgetting the scones either! After indulging in one of the nation’s favourite pastimes, tummies will be suitably filled so a long walk will help to get those legs stretched. The afternoon tea at Holmewood Hall is set in a beautiful Victorian hall, and with lush grounds on your doorstep the location couldn’t be more perfect for a post tea-time stroll. I’m sure many would agree that all they really want for Mother’s Day is a little time to themselves to unwind. Grab your favourite lotions and potions and get ready for the dreamiest of pamper days. Light candles, run a bath, pick up your favourite book, paint your nails. You time is the perfect way to spend Mother’s Day – and relax. If budget allows, then a spa day will leave you feeling refreshed, rejuvenated and just that little bit sparklier. And if there’s anything you want to feel like on Mother’s Day then a sparkly princess it shall be. Mum’s should be celebrated all year round and creating 12 months of treats, however big or small will certainly keep that warm fuzzy feeling going all year, not to mention giving you something to look forward to every month. These can be as extravagant or as budget friendly as you wish, so whether they involve a home cooked meal and the washing up done one month or the promise of a shopping trip you’ll be suitably spoilt. If Mother’s Day is all about getting the family involved (and why shouldn’t it be), then baking a cake is the perfect way to keep little hands occupied and leave you with a hopefully delicious treat to have come the afternoon. What you bake is down to just how good and creative your baking skills are, but keeping in mind some child friendly bakes will help to keep things simple if the kids are involved. One of the easiest bakes to make are chocolate nest cakes, just combine cornflakes or rice krispies, melted chocolate and golden syrup, dollop into some cases and pop in the fridge to set. We live in a beautiful country and whilst the TV can often be heard calling our name, getting into the great outdoors is a wonderful way to get some fresh air and experience what’s often on our doorstep. Local countryside sites often have events running throughout the year, with even more popping up in the warmer months so dig out those wellies for an adventure. Many places offer everything from baking demonstrations, arts and crafts and of course long countryside walks. This article has all you need to know about breaks in Great Britain and to get those creative juices flowing. You should know just how amazing you are all year round, but a day to celebrate being super Mum is always something to enjoy.